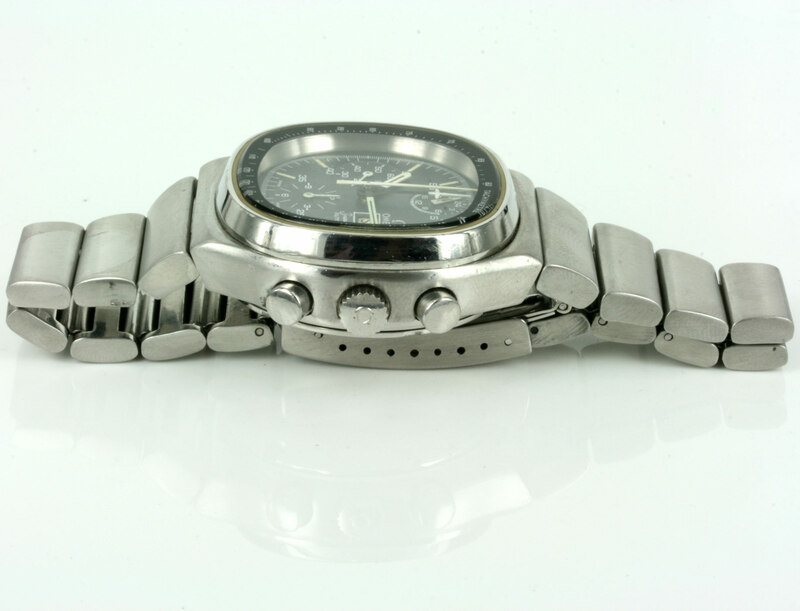 Product code: 1745 Categories: Sold Items, Sold Omega Watches. 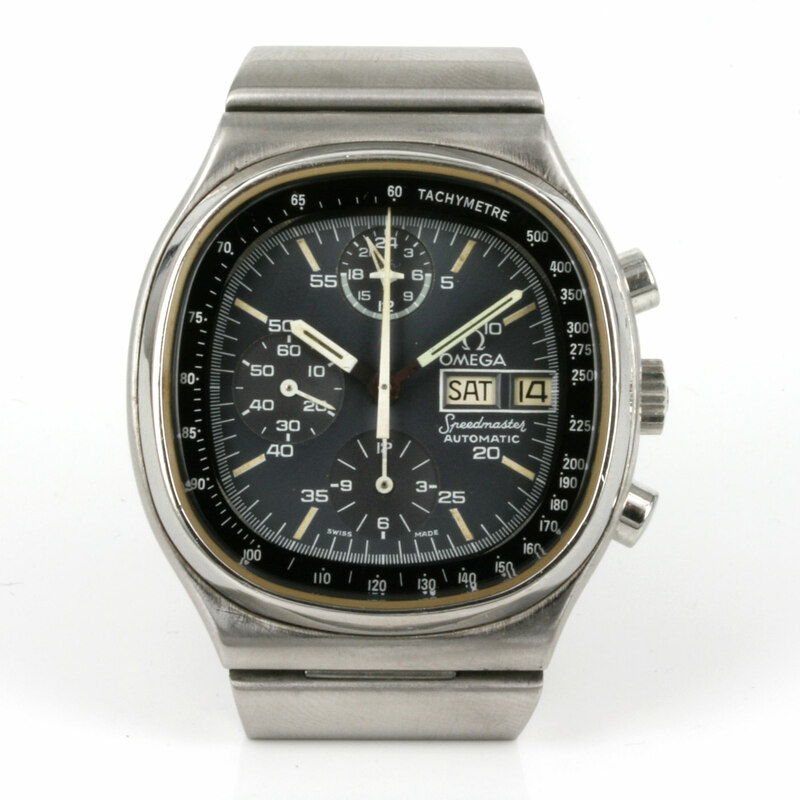 Here is a great vintage Omega Speedmaster Mark IV from 1975 with the sought after “TV” shaped dial. 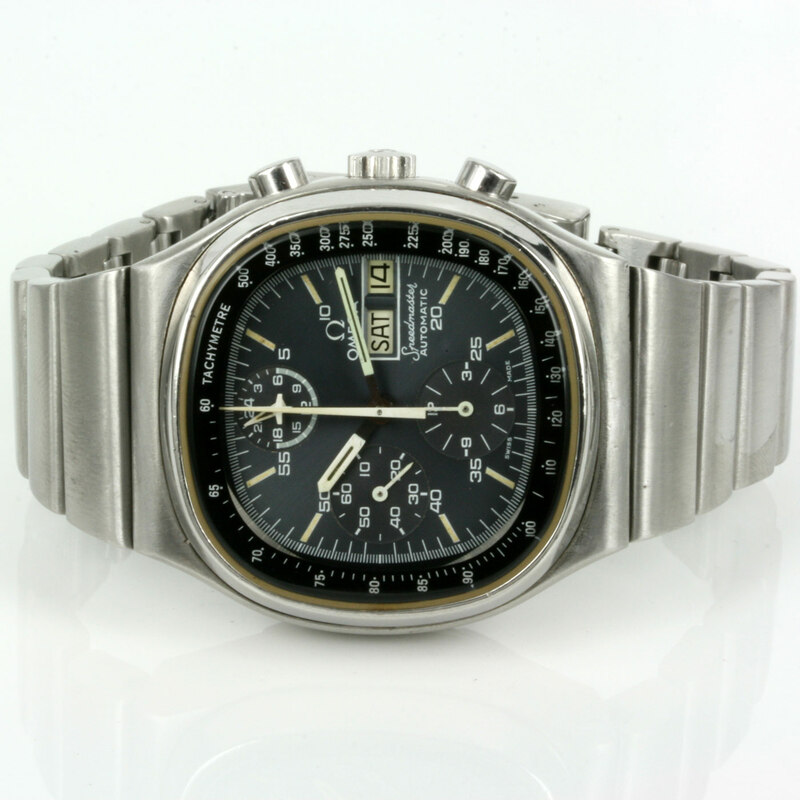 The Omega Speedmaster range is still going strong for Omega even today, and to get a great vintage one it wonderful. The stainless steel case measures 40mm across (43mm with the crown) and the dial is just superb with the chronograph and day and date windows. Inside is a 17 jewelled automatic Omega calibre 1045 movement that has been fully serviced and runs great. Fitted on the original stainless steel Omega band, this vintage Omega Speedmaster will always be commented on. 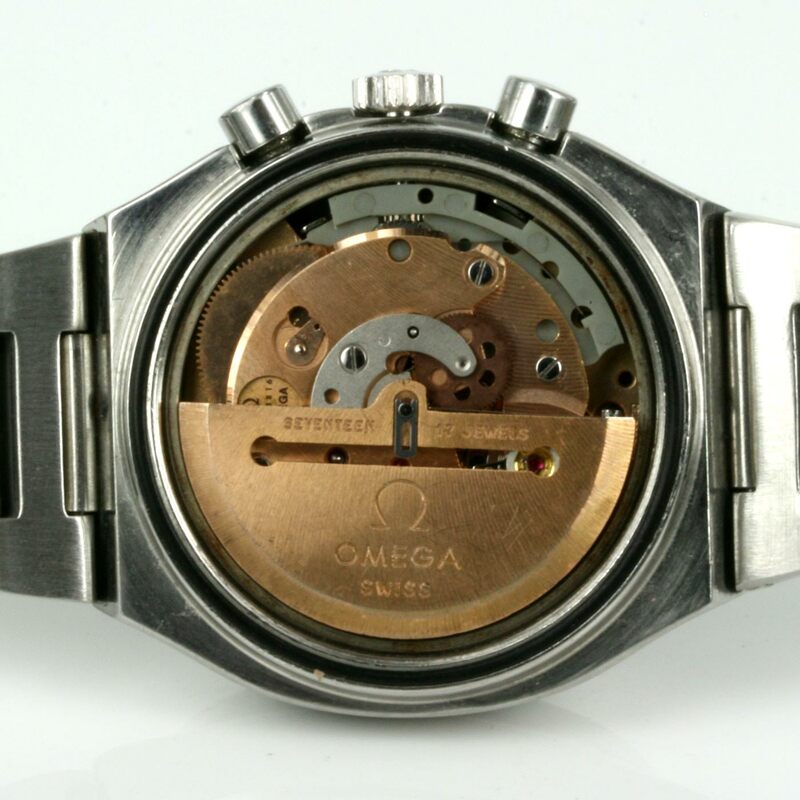 A great classic Omega watch.